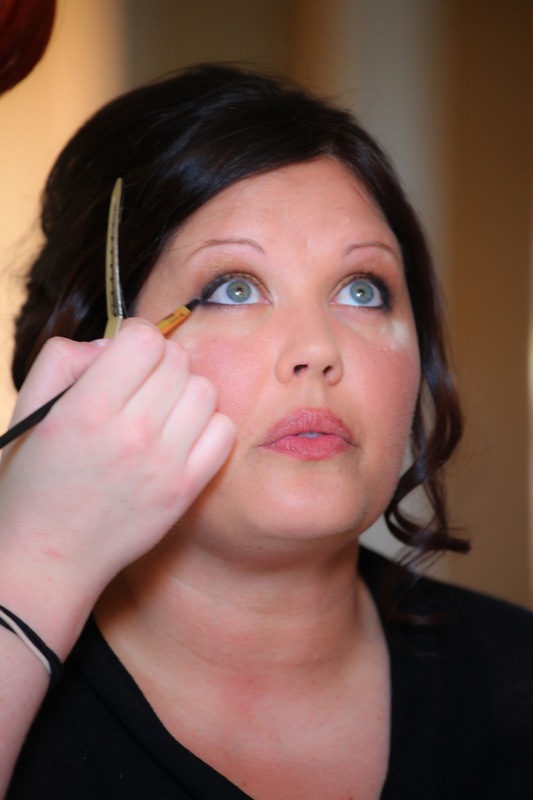 Earlier in July, I got to spend the day with Hannah as she and her bridal party got ready for the ceremony. 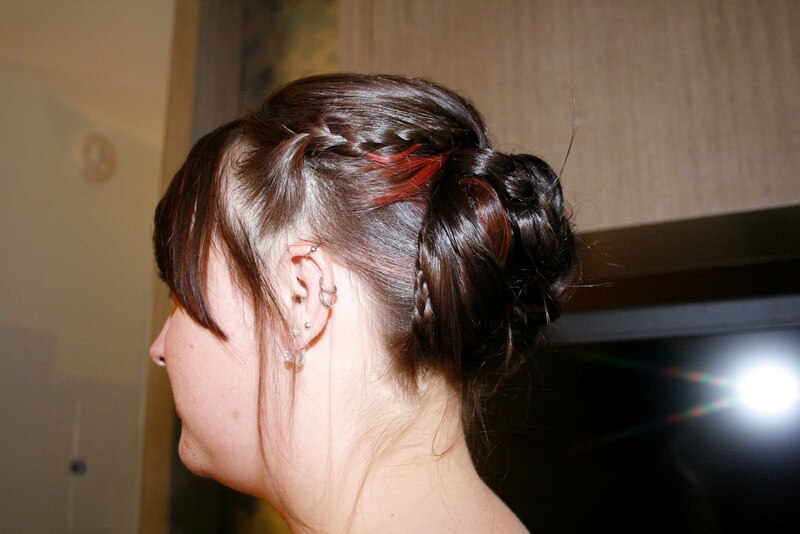 The bride-to-be and I had a trial near the beginning of summer where we tried several different styles. 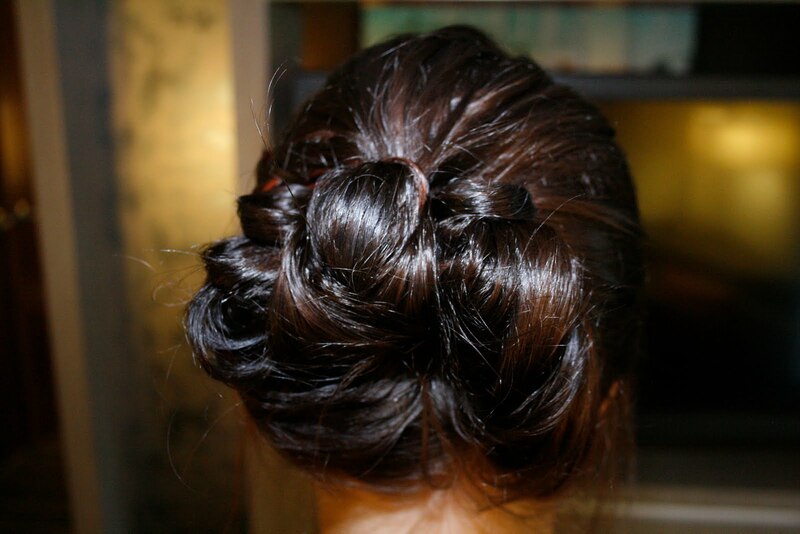 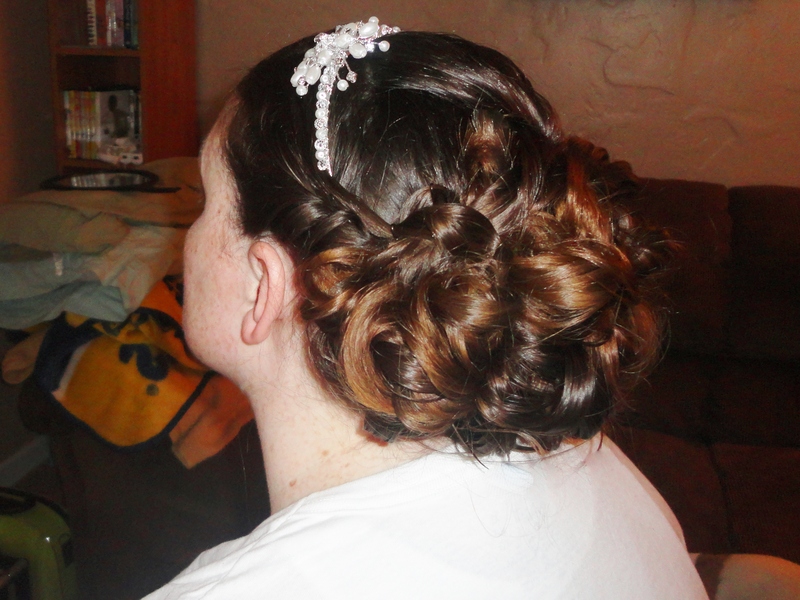 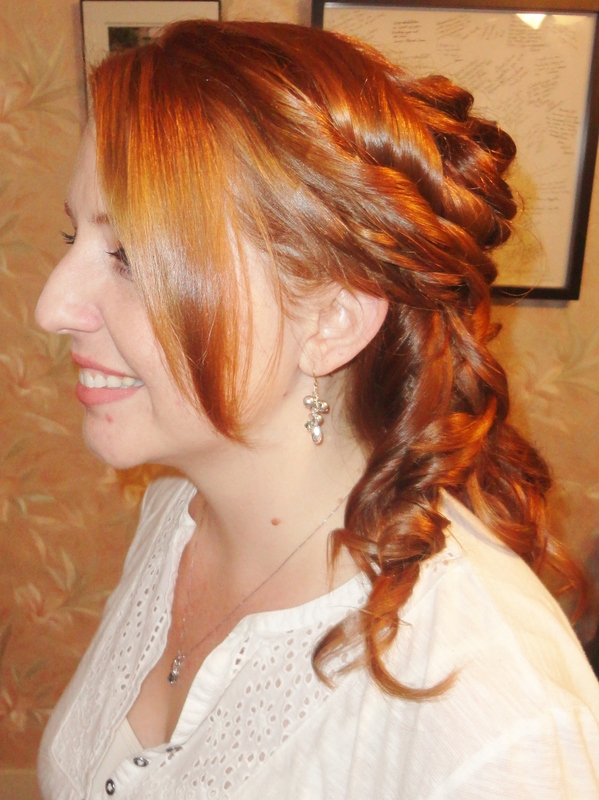 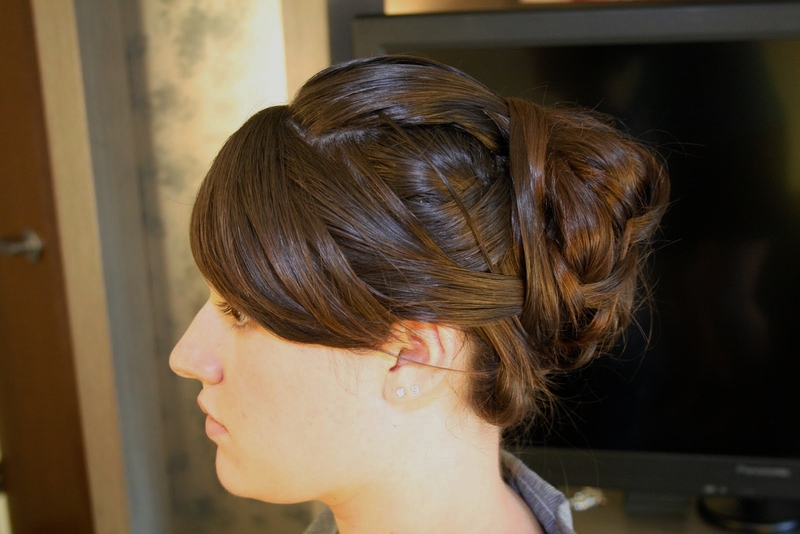 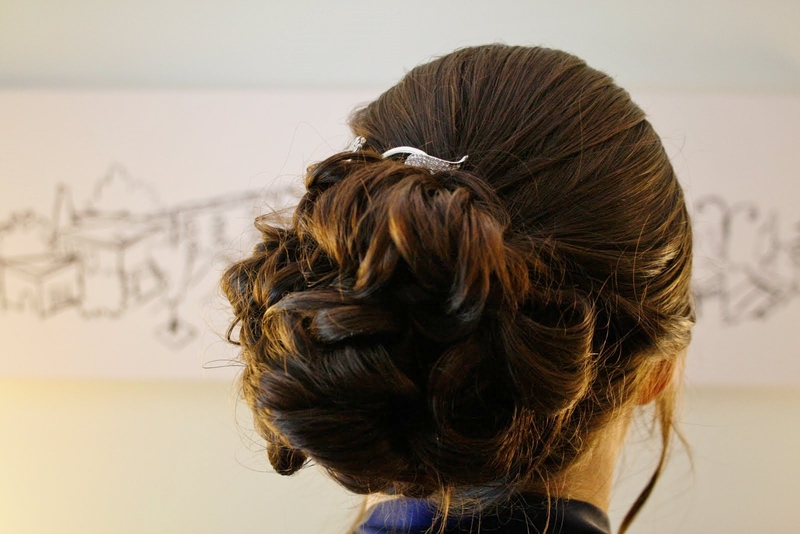 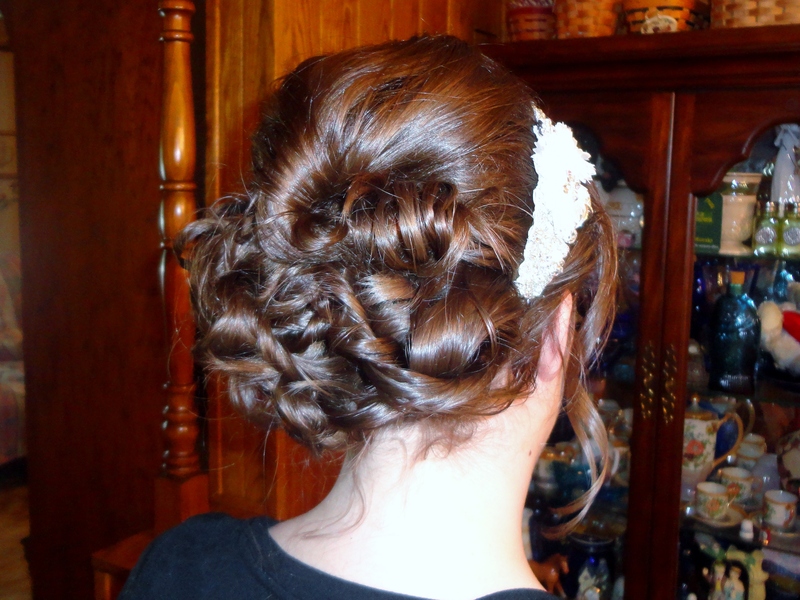 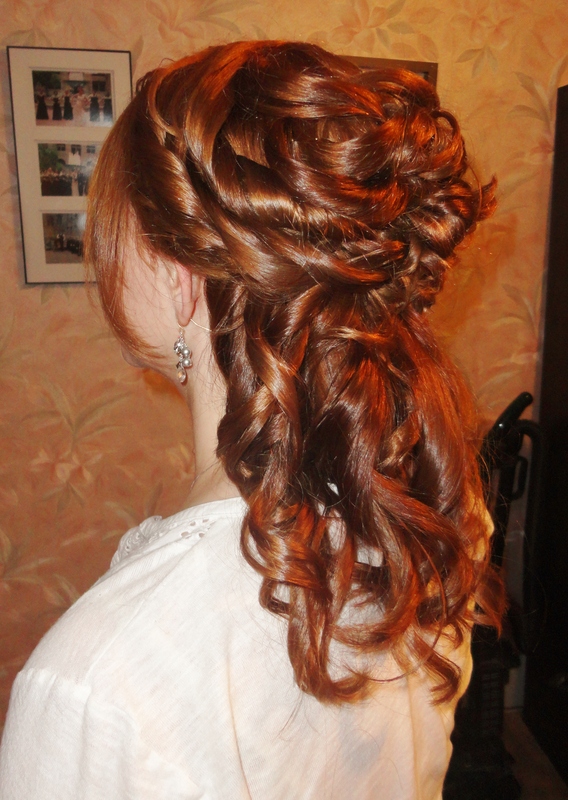 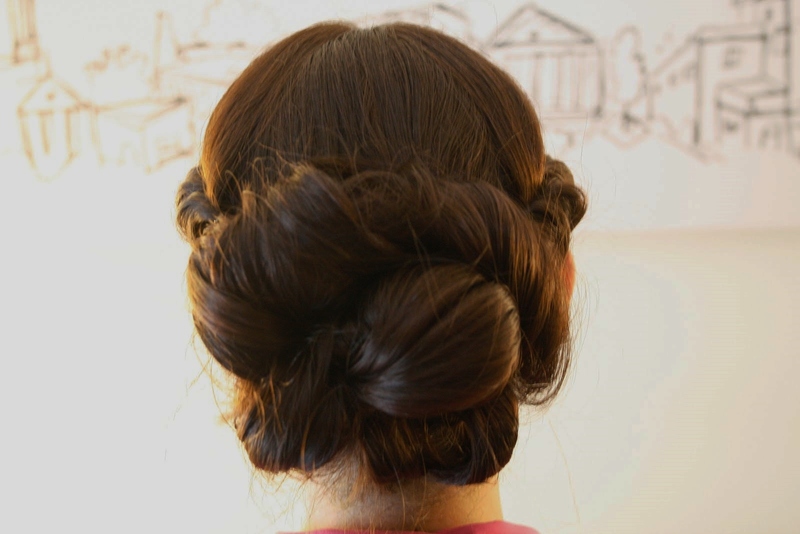 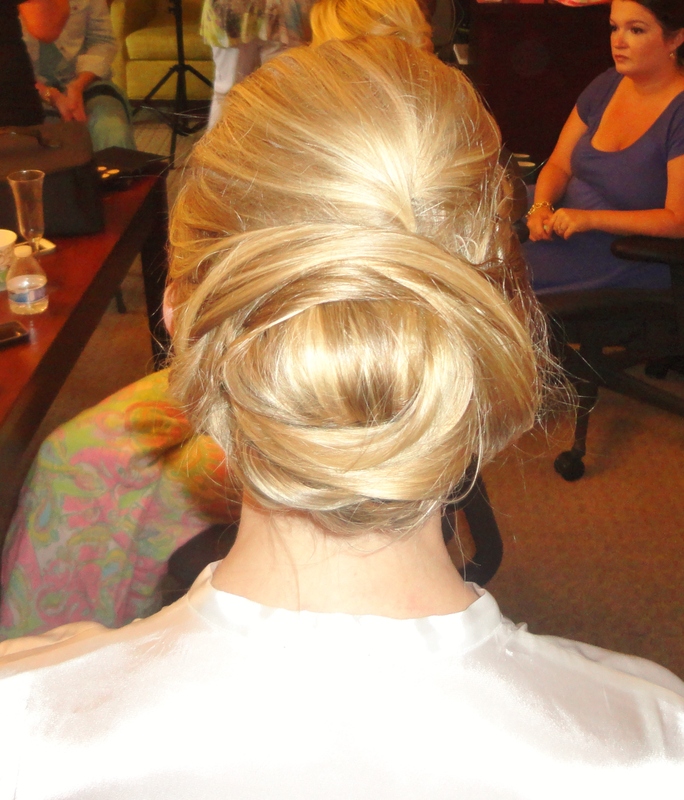 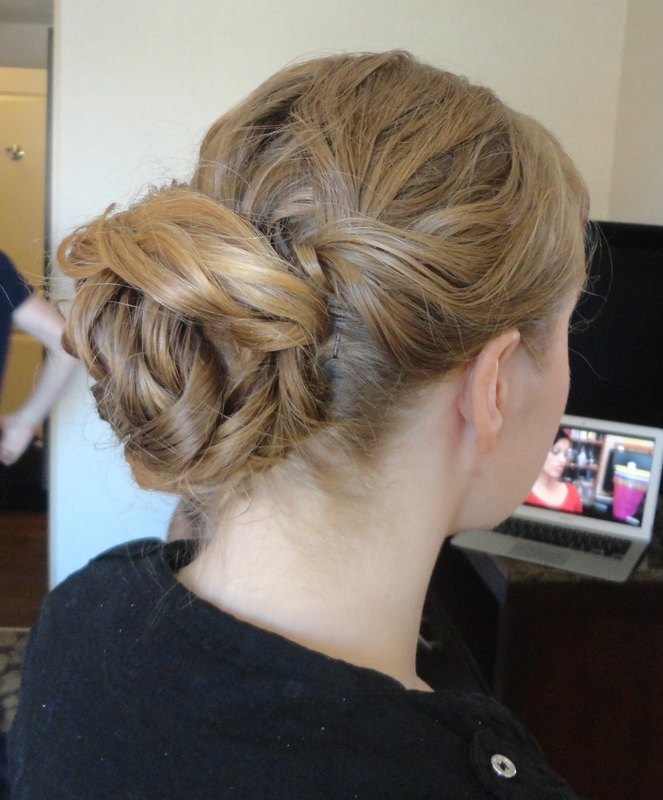 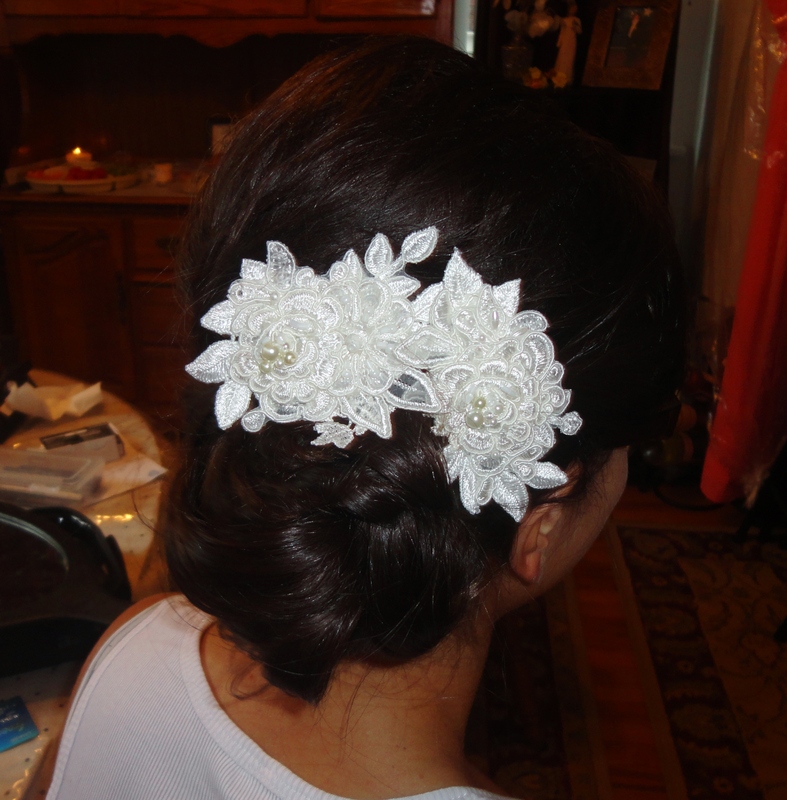 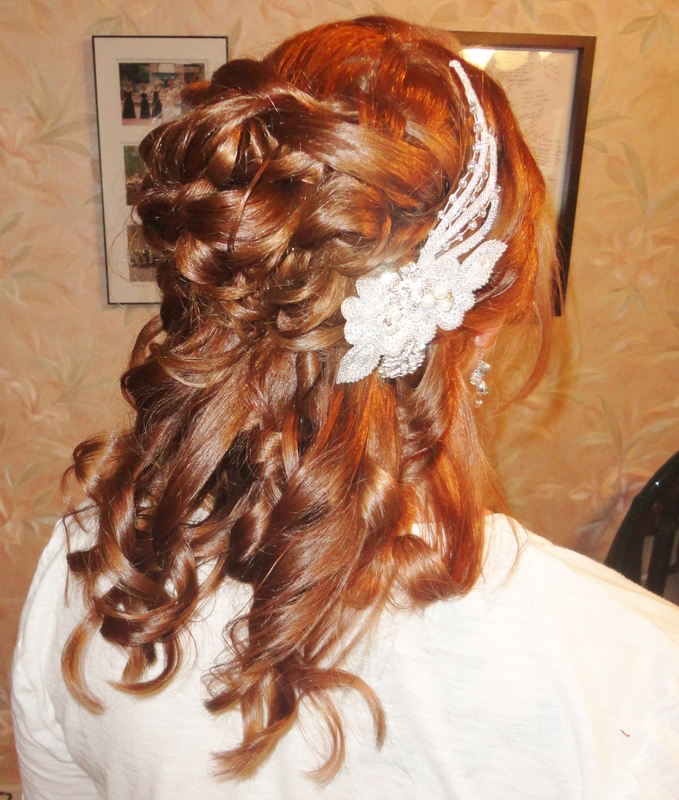 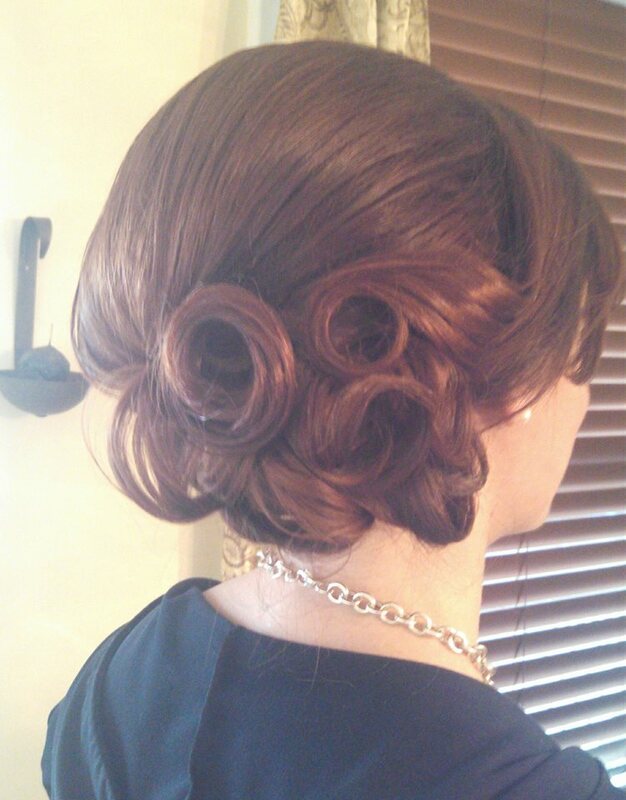 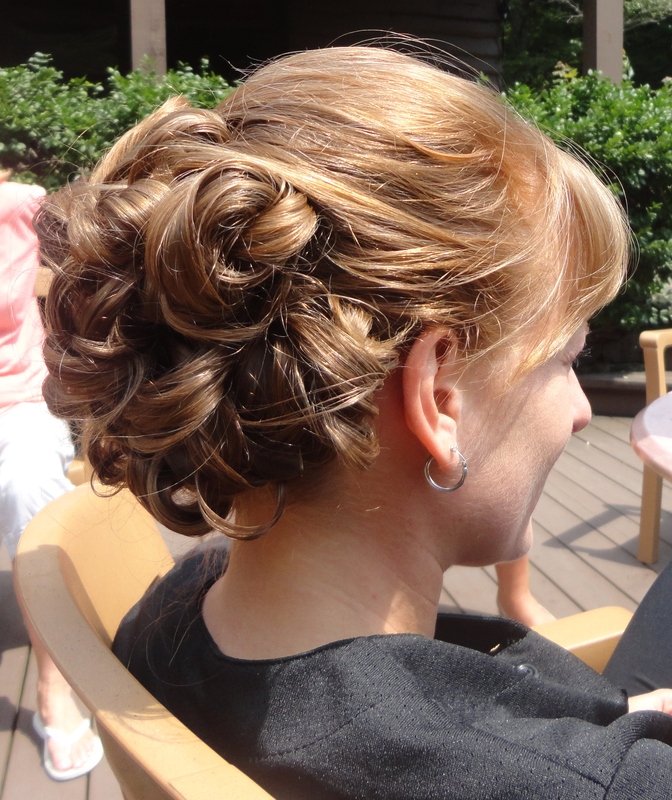 For the wedding she had decided to go with an updo that was worn slightly on the left side. 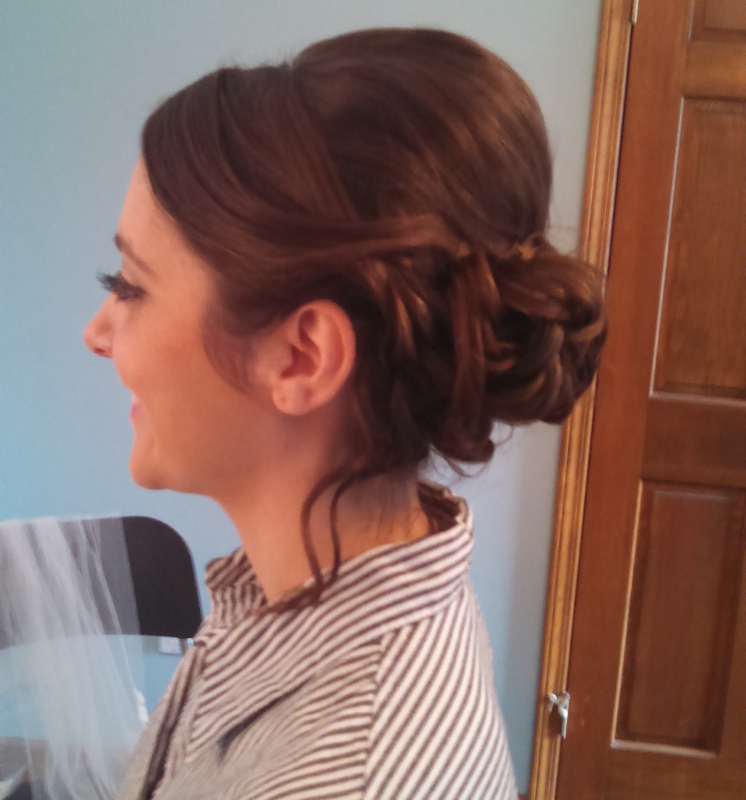 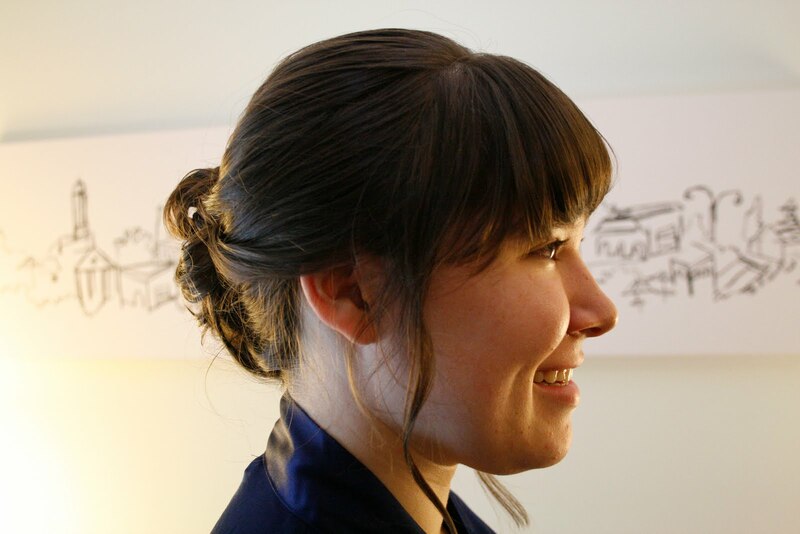 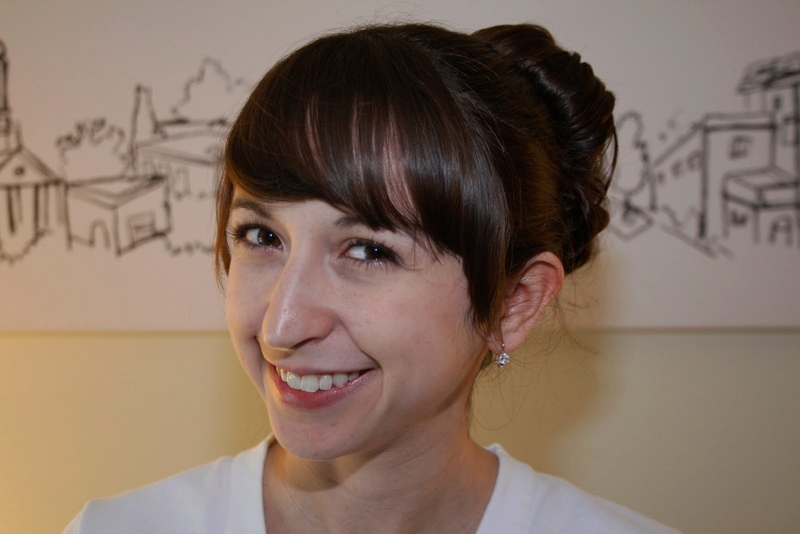 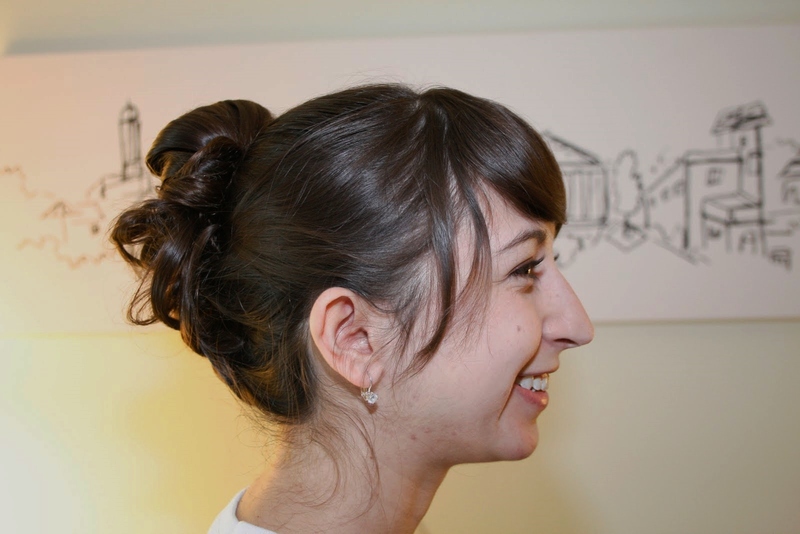 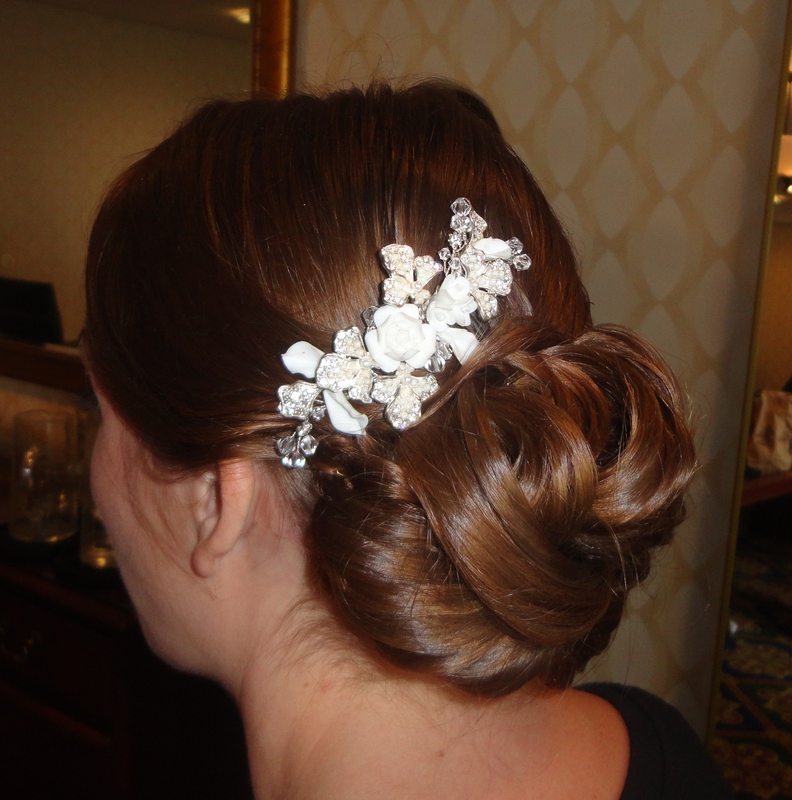 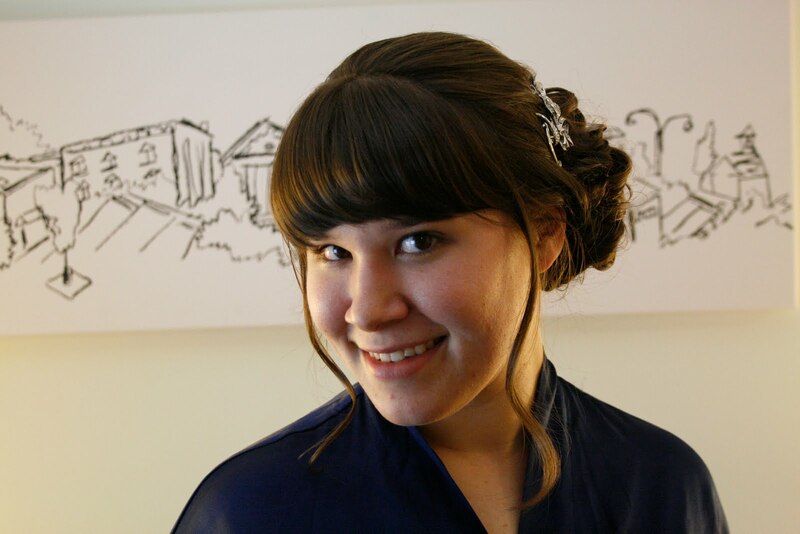 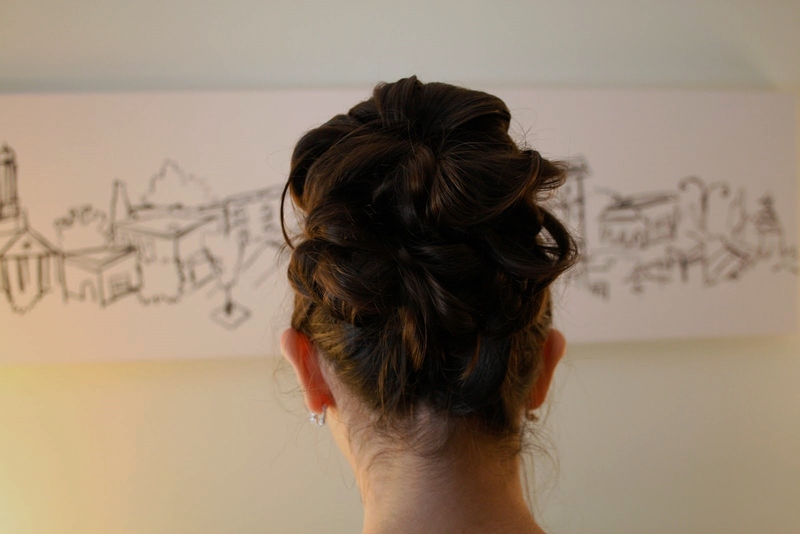 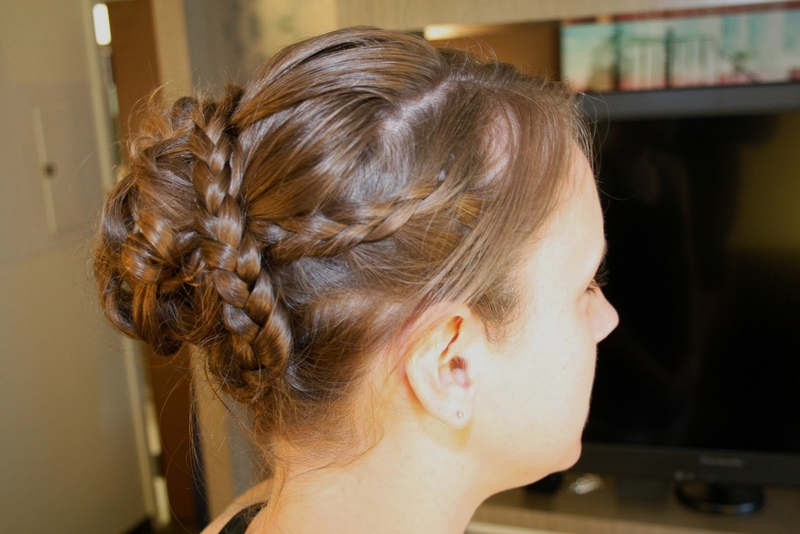 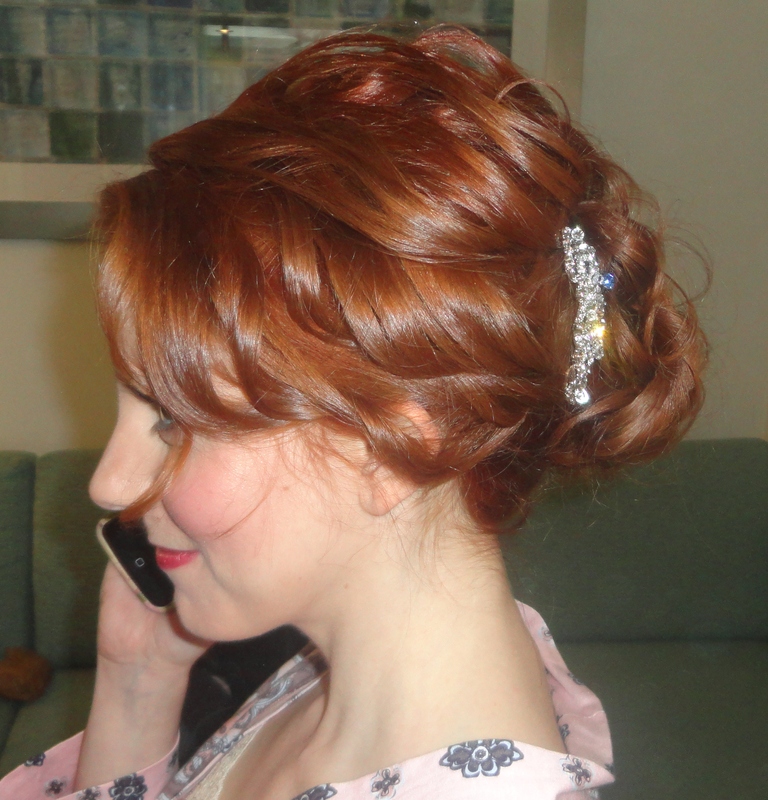 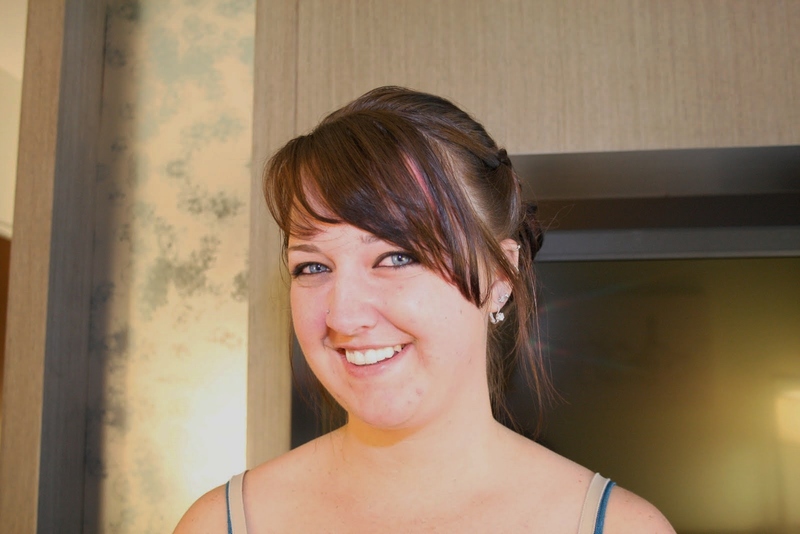 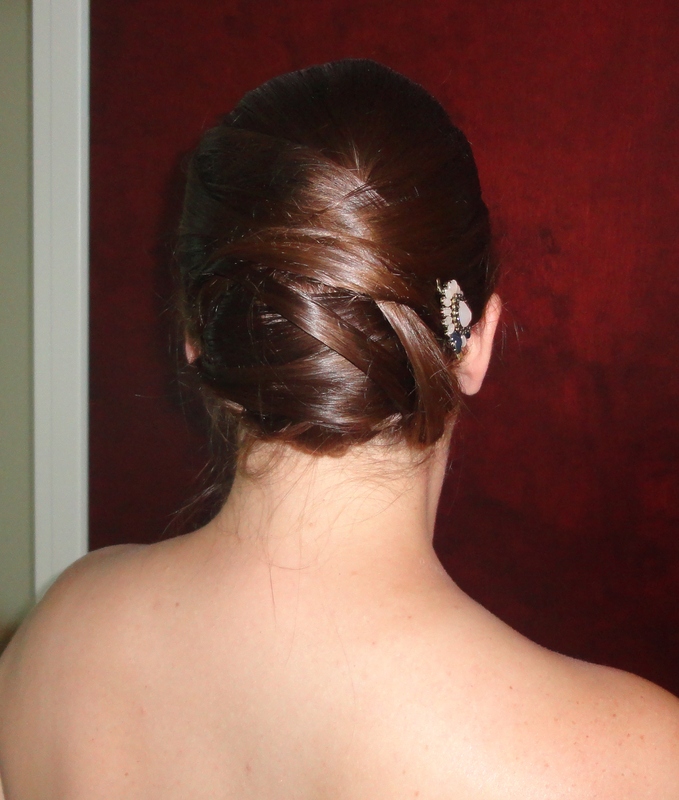 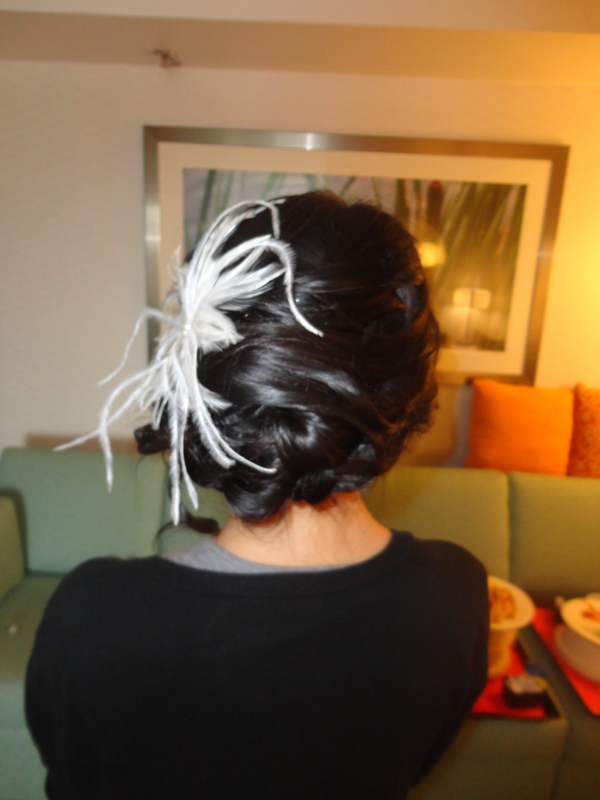 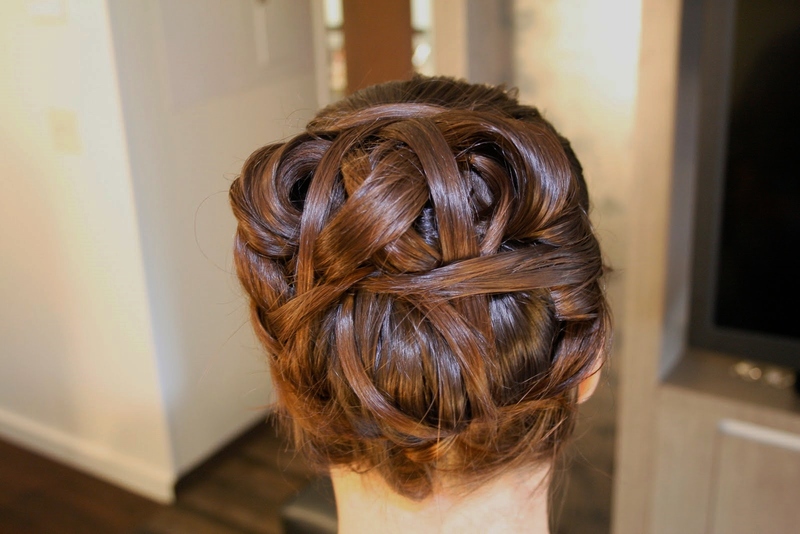 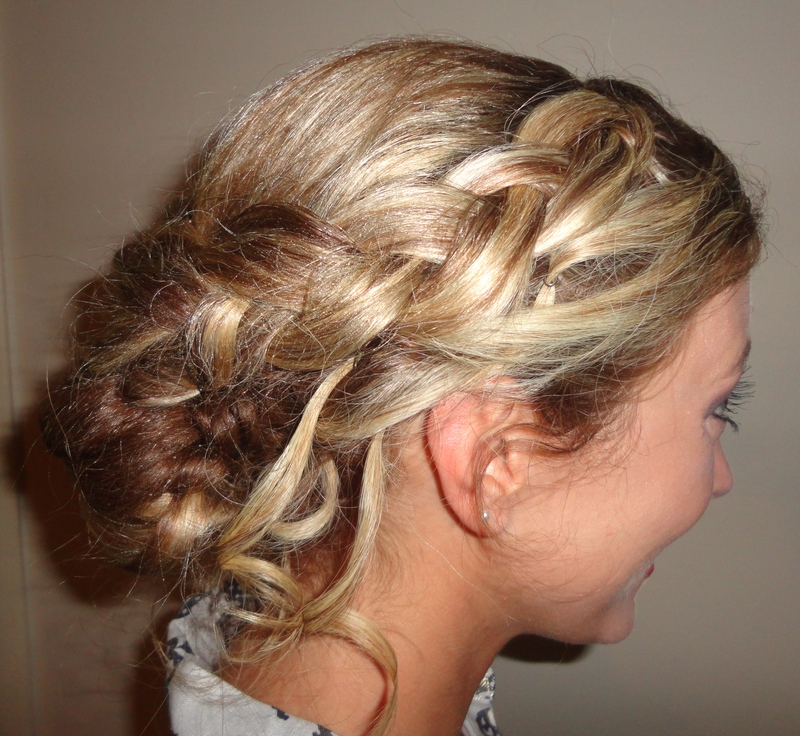 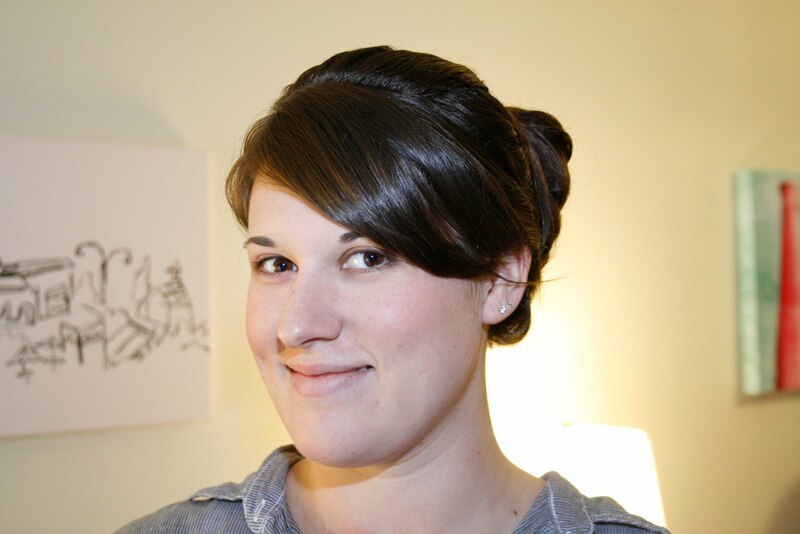 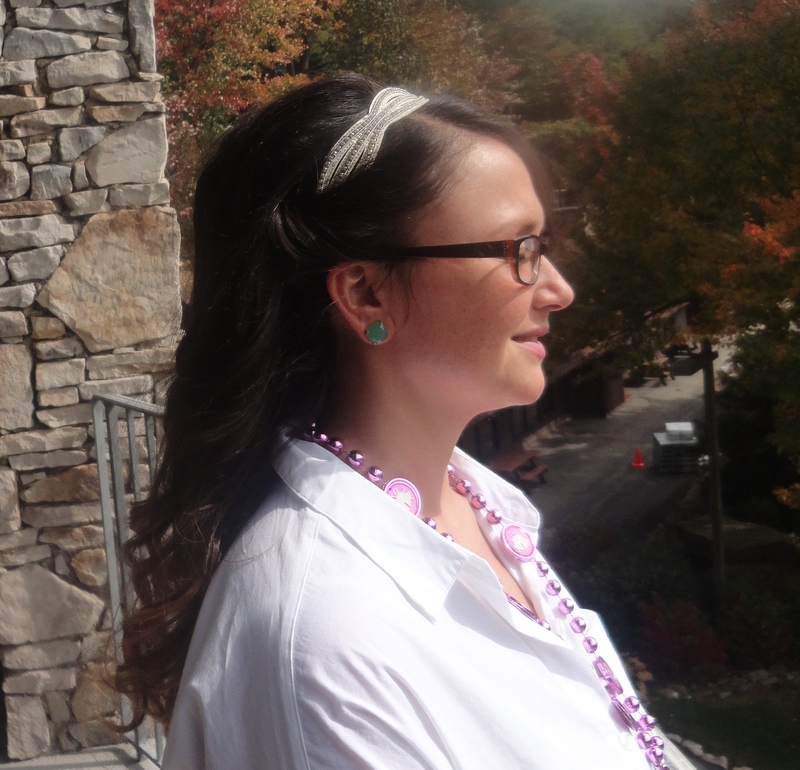 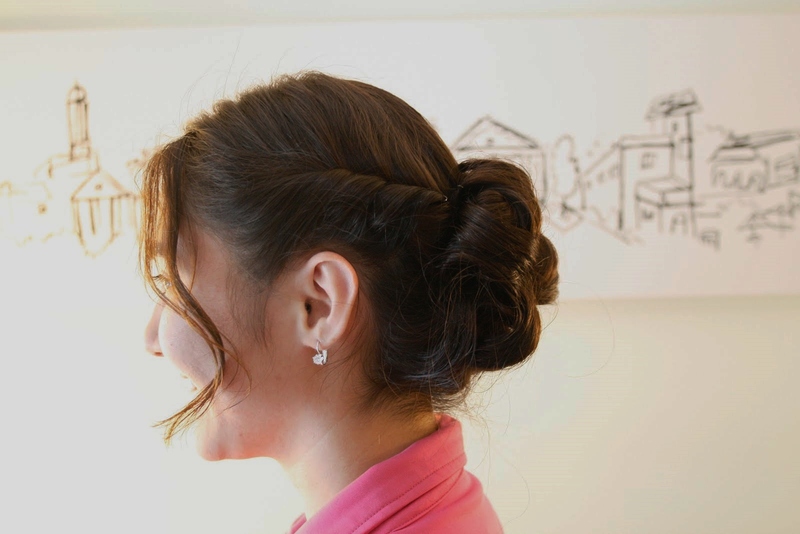 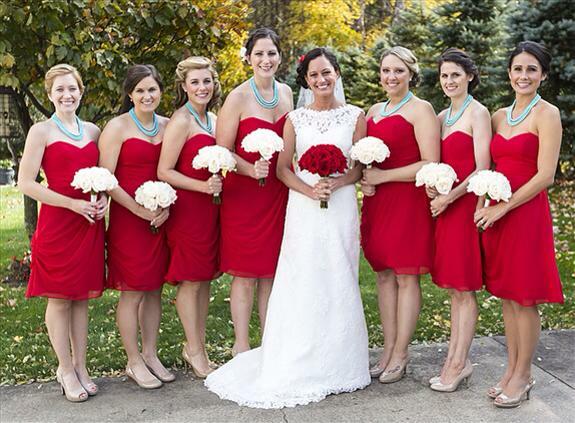 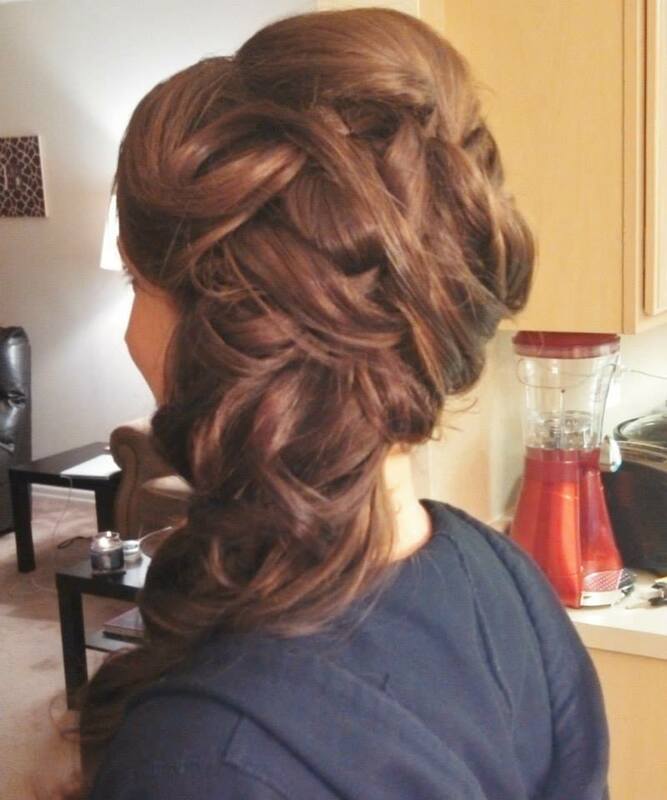 For the bridal party, Hannah asked that they all have their hair in some form of an updo. 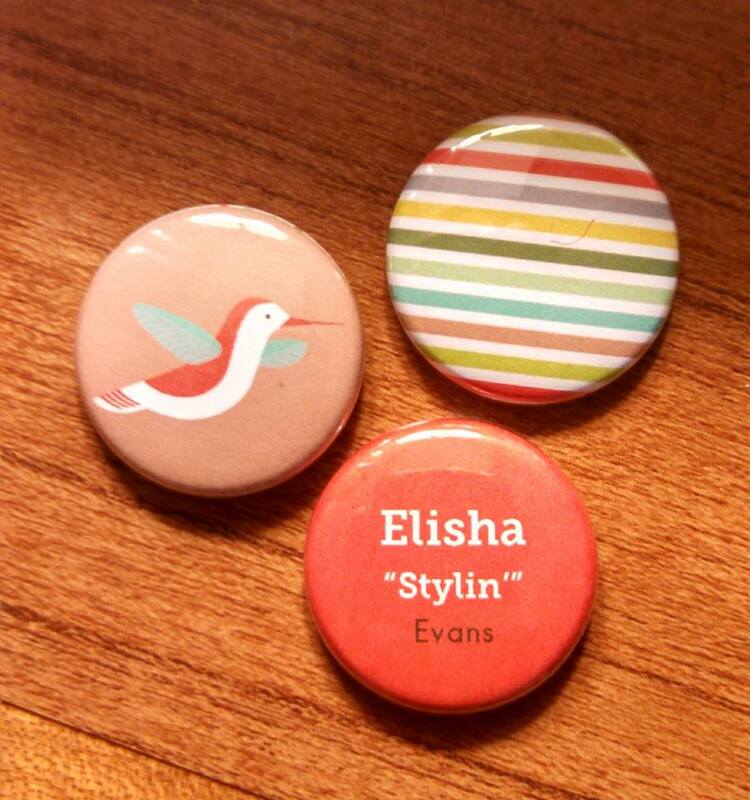 It was a lot of fun getting to know these girls and helping them to find a style that was their own. 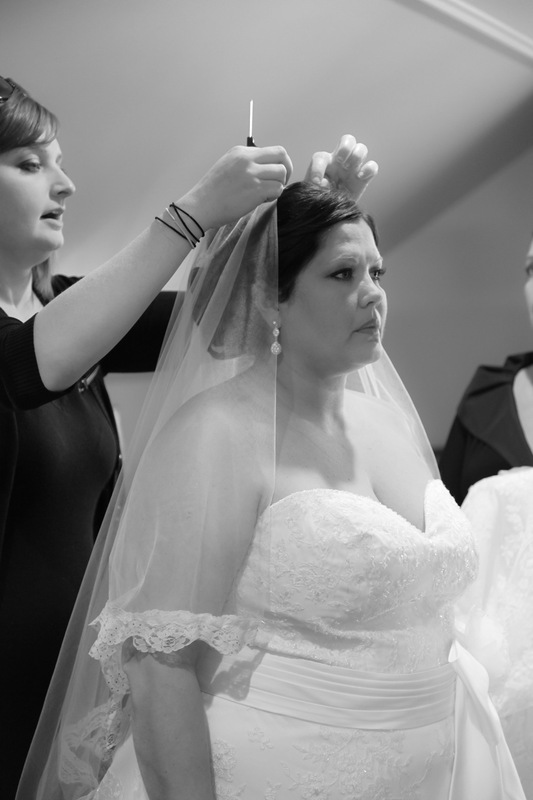 I really loved the way that everything turned out and had a lot of fun with these girls. 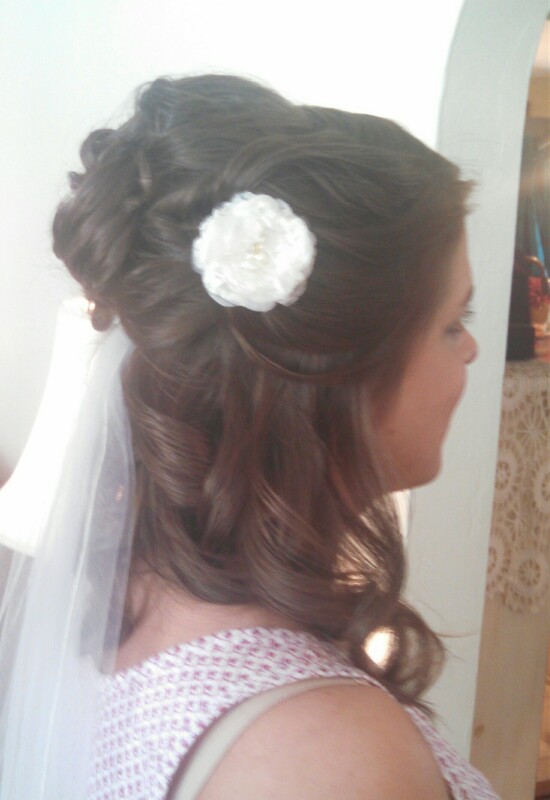 Thank you to Hannah for letting me be a small part of such a big day! 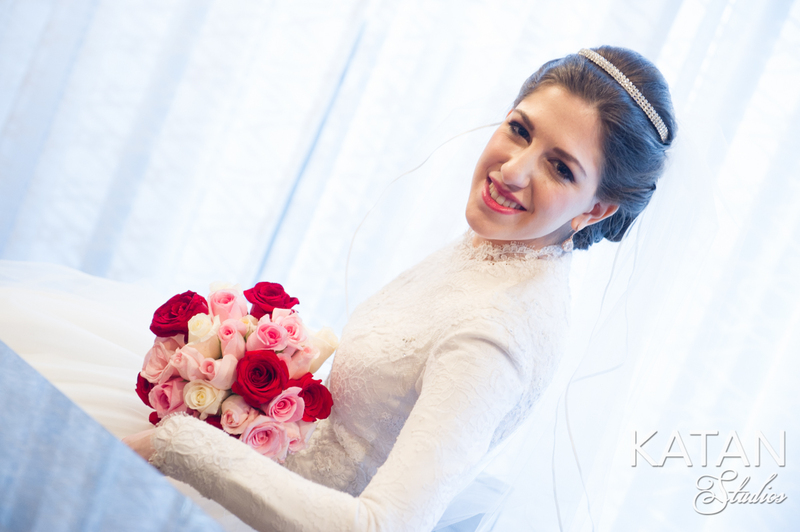 Best wishes for a long and happy marriage! 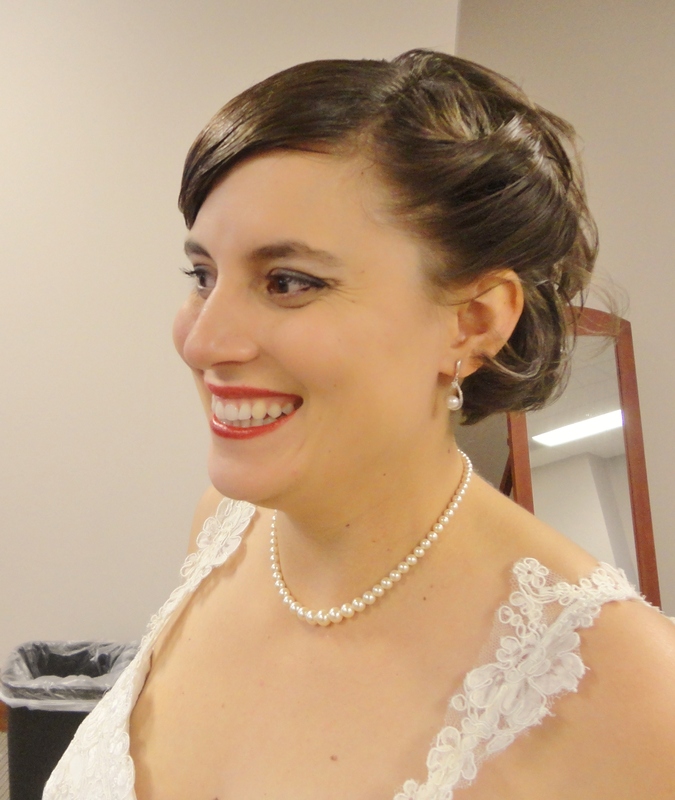 Yesterday was my friend Lynetta’s wedding day. 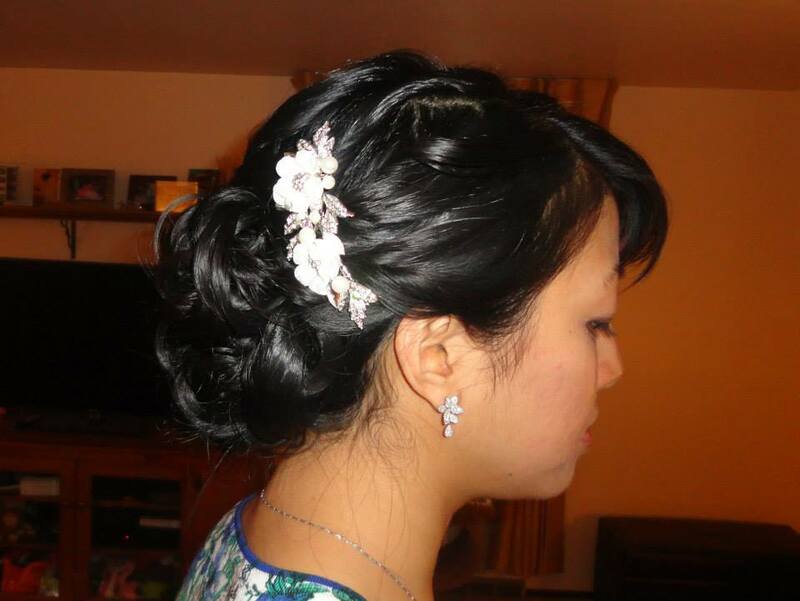 She and I have known each other since 3rd grade. 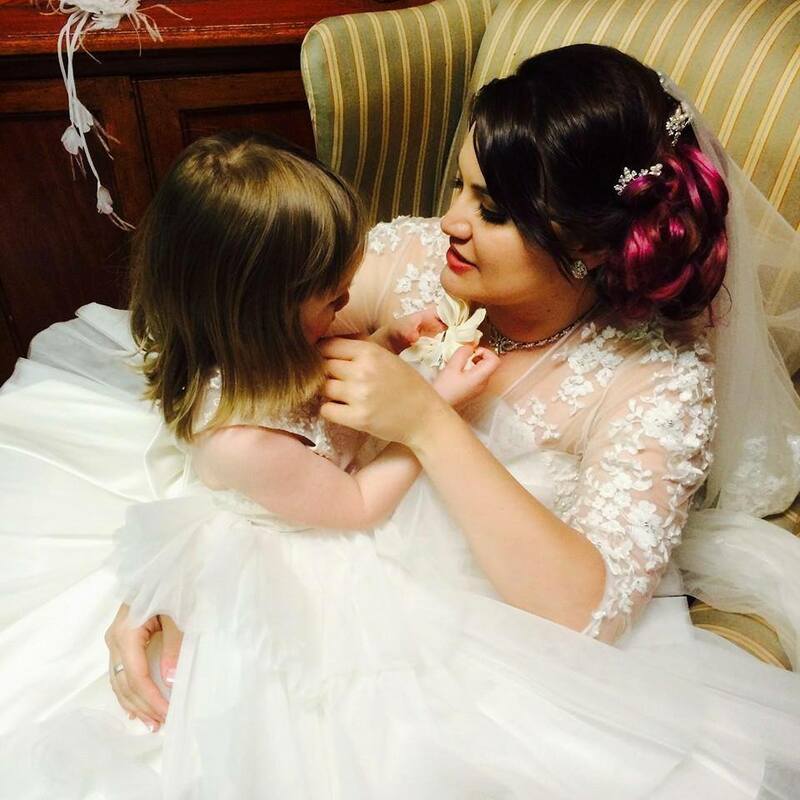 Like many people do, we lost touch for several years but thanks to the wonders of social media, we reconnected about 5 years ago. 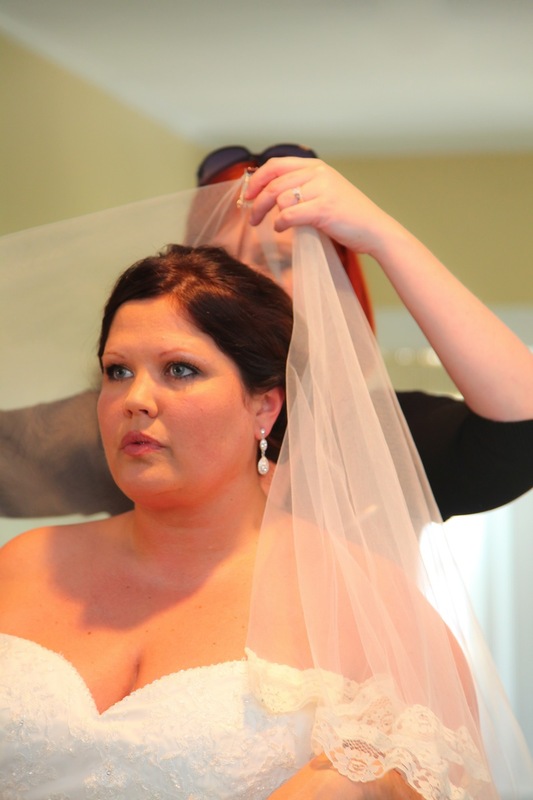 When she told me that she and Jeremy had gotten engaged I was thrilled! 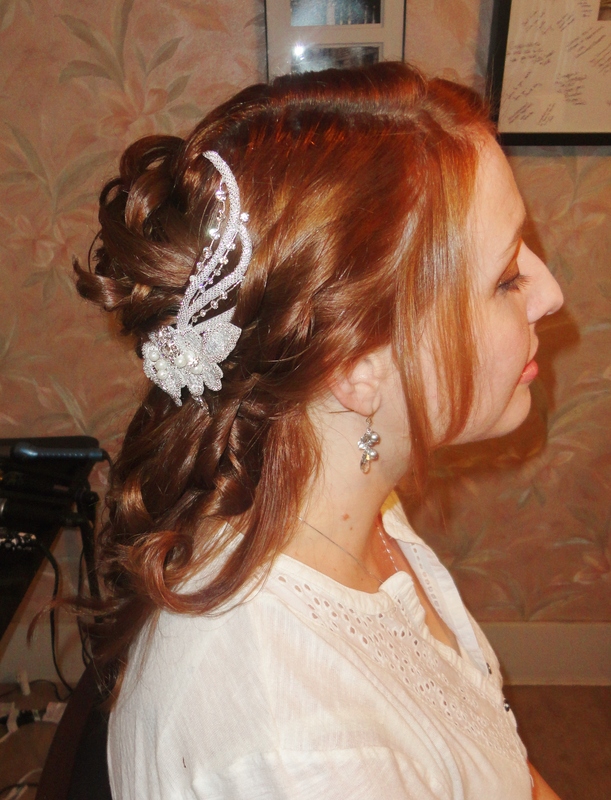 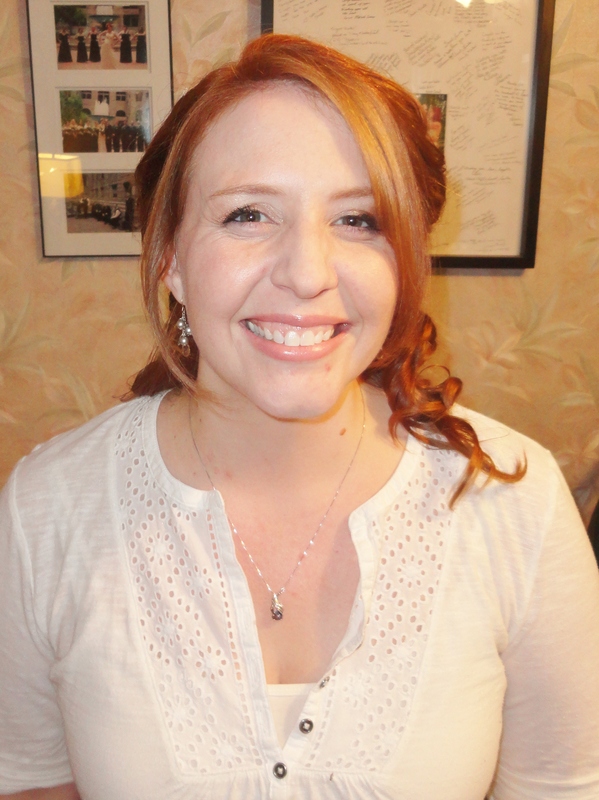 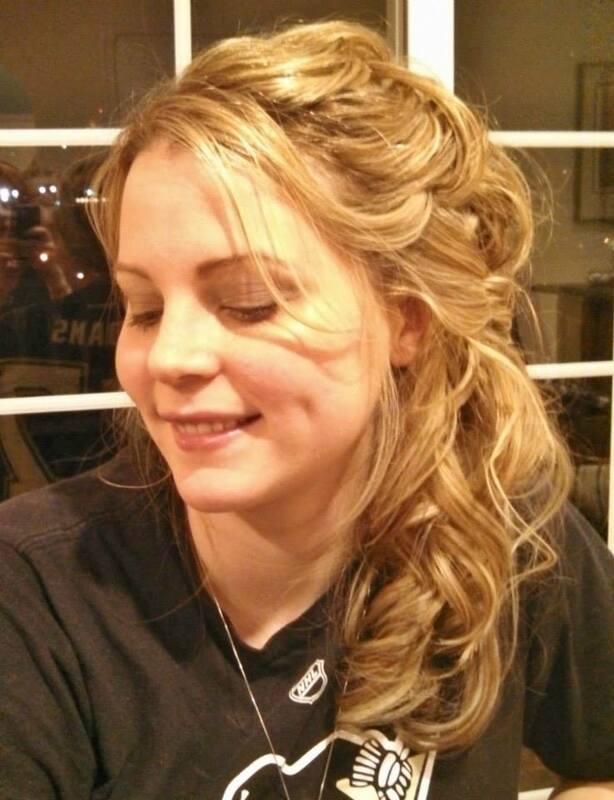 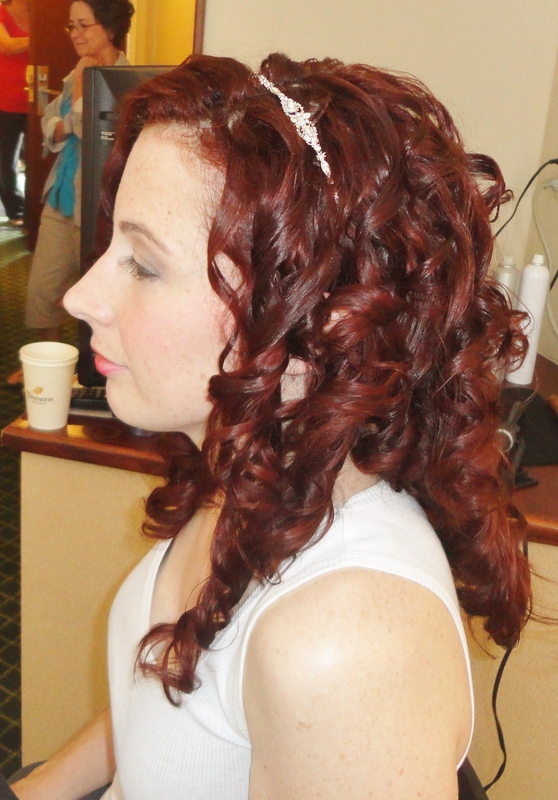 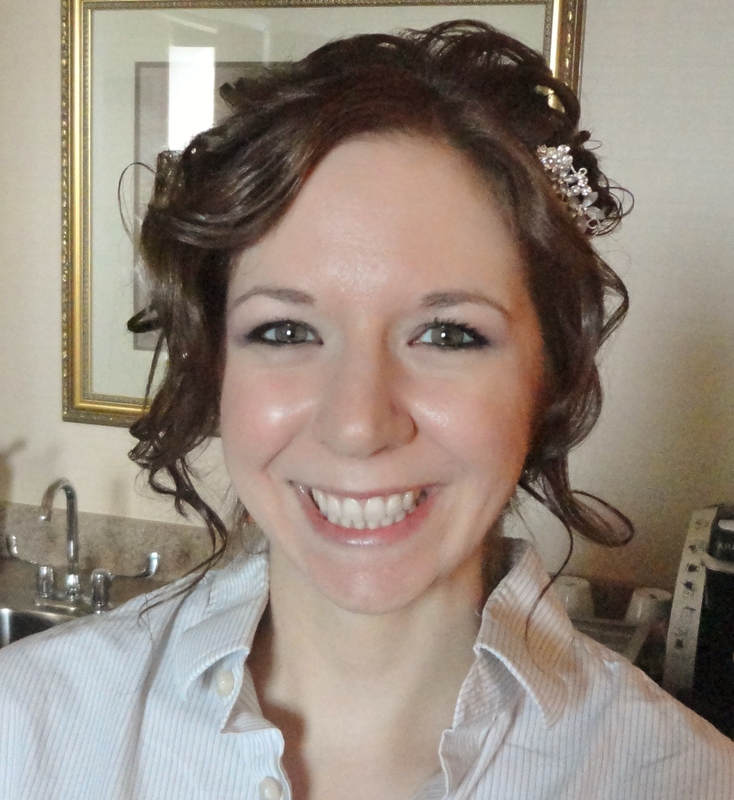 I was honored when she asked me to be involved in her special day by styling her hair and makeup. 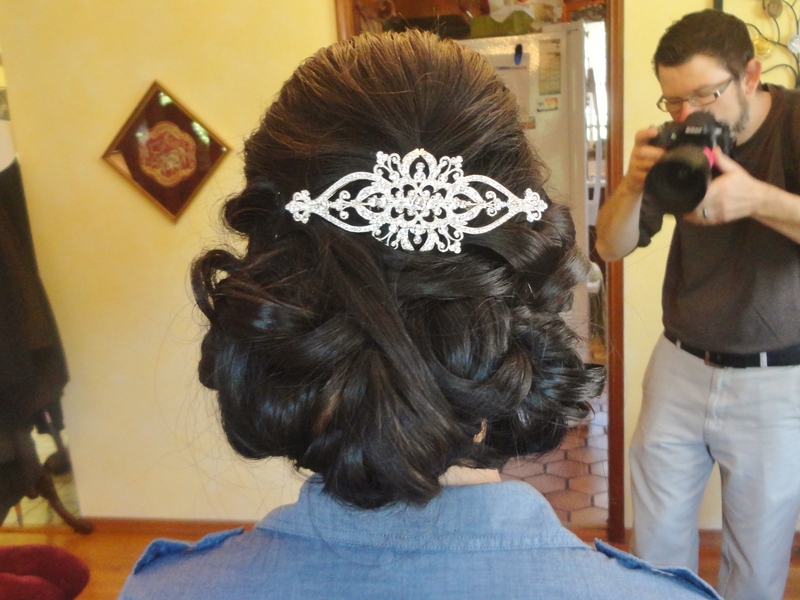 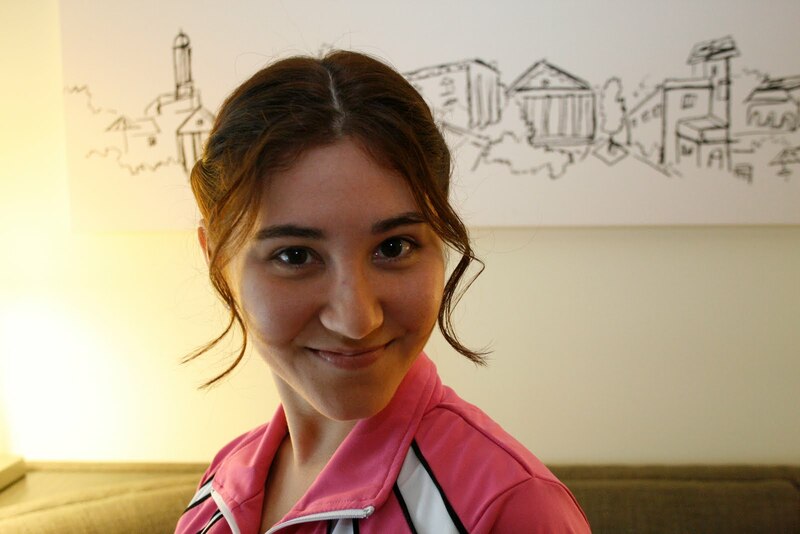 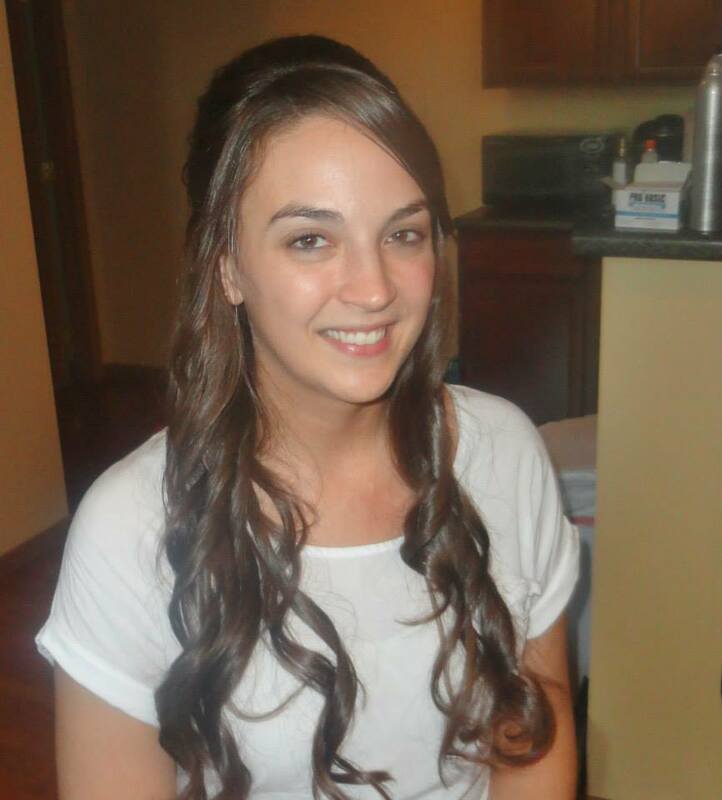 Since the wedding was to take place in Columbus, OH and she had recently moved to Boston, MA, there was no time for us to get together for a trial run of her hair. 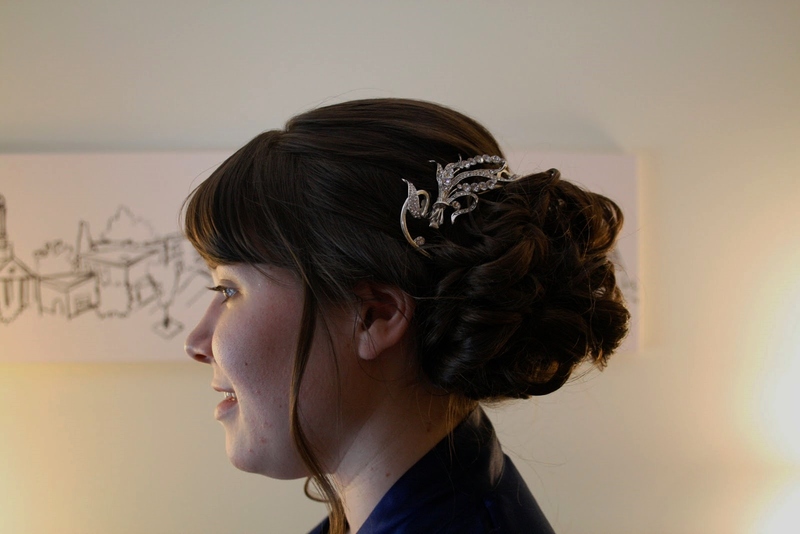 So through the past year we have talked, mostly through emails and Facebook, discussing exactly what she did and did not want for her wedding day style. 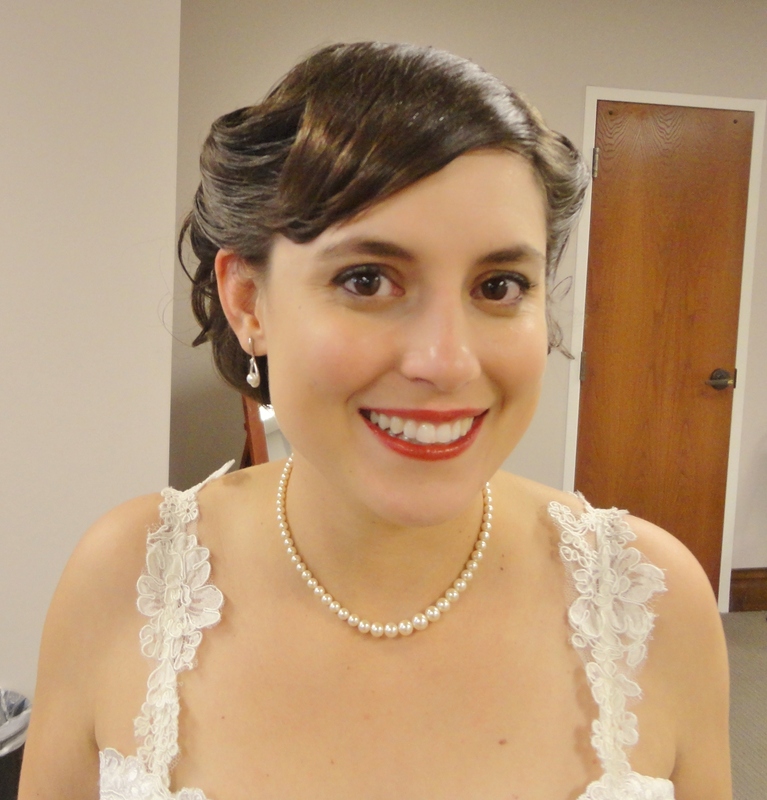 When the big day finally arrived, she decided that she wanted subtle Victory Rolls to bring an element of vintage to the day. 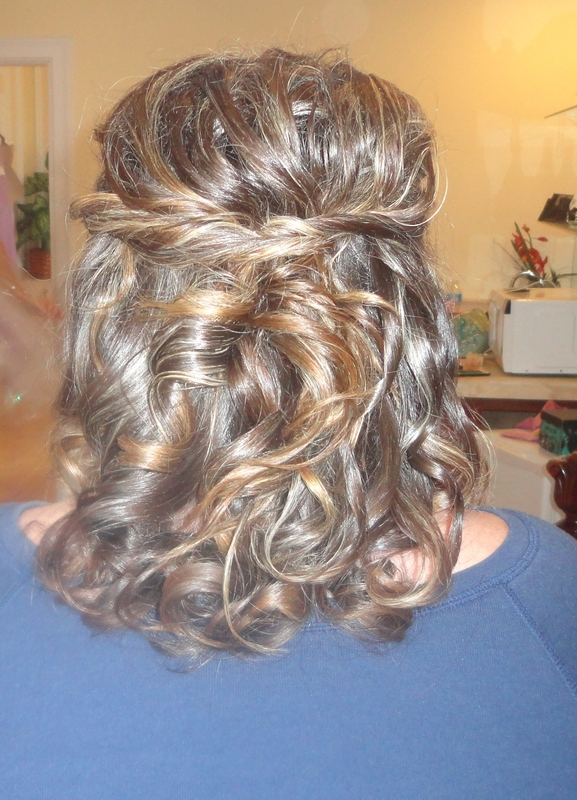 I curled the back of her hair for lots of volume and the swooped her bangs to one side. 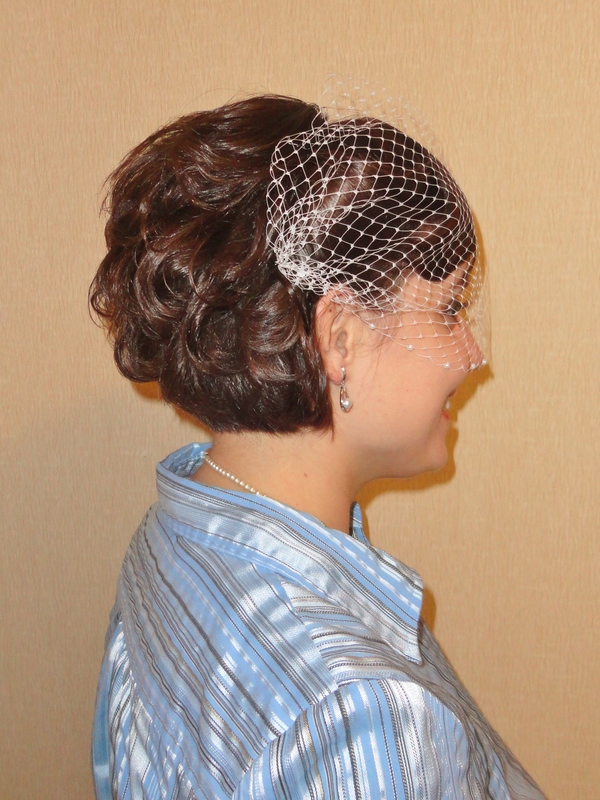 To finish the look, she chose to wear a cage veil. 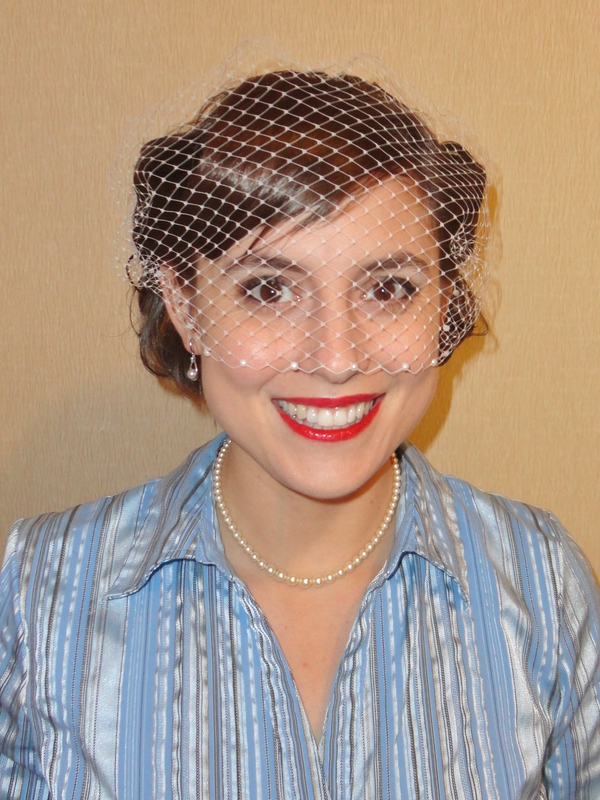 More About Audrey’s Wedding Day! 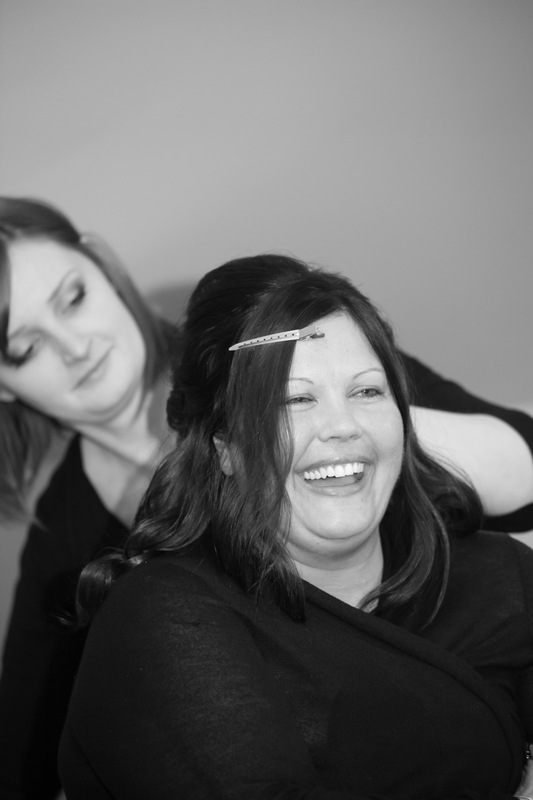 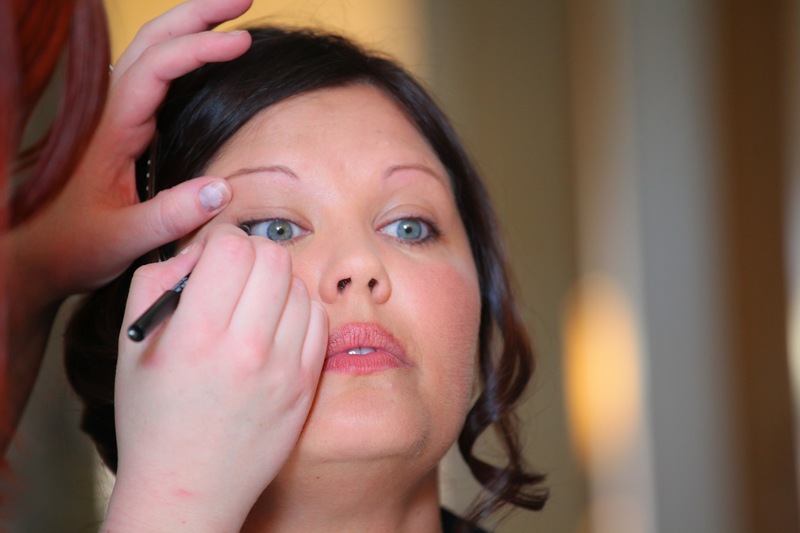 Kristy from Limelight Images shared a few great photos that she captured while Audrey was getting ready. 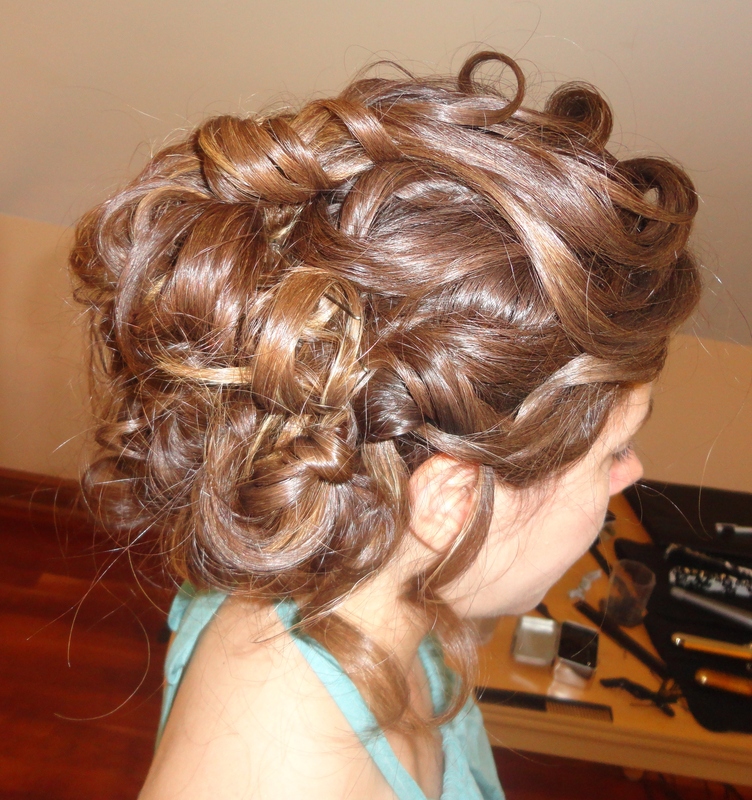 I wanted to share them with you! 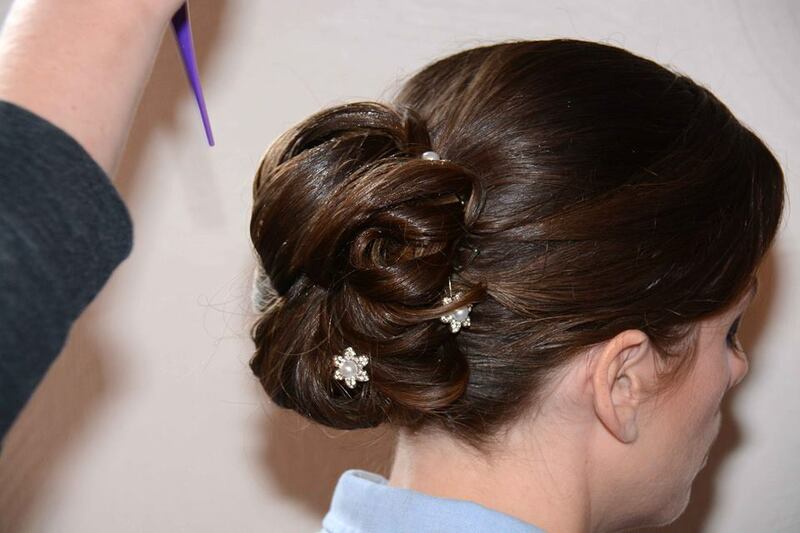 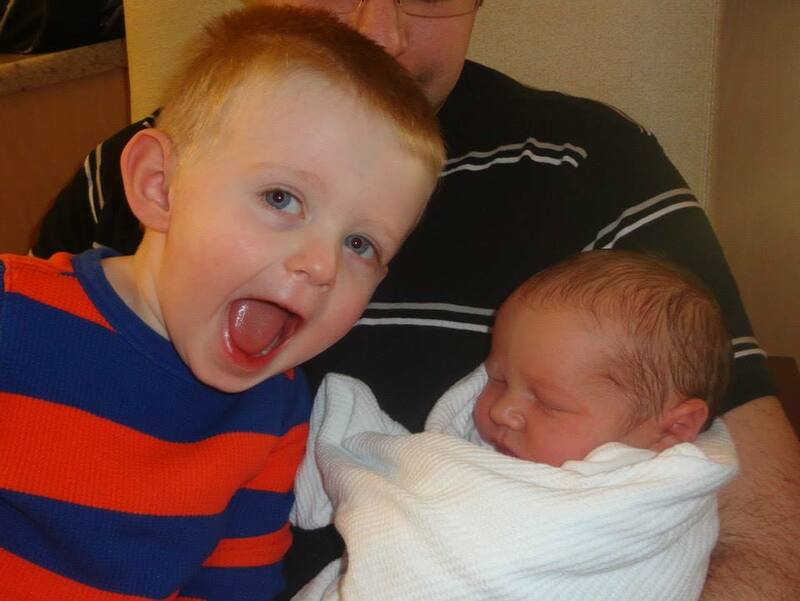 Thanks again to Kristy for sharing these photos!